I realized I had yet to show ya'll a couple of cards and a project I made for My Favorite Things, all using the set, Nature Calls! The first card I just did, because I got this cool idea in my head to make the bear a Polar bear!! I did a little bit of slight shading with a blue Prismacolor pencil around his edges to give him a little depth. The tree is one I had leftover from the last project shown below. It really is dark green and clear embossed, but I could not get it to show up right! 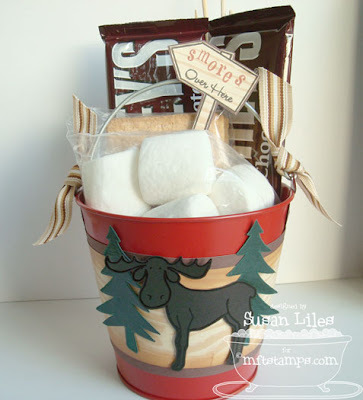 This here would be your basic Wild Smores bucket (as opposed to Wild Boars--snort!). It's something I conjured up when Jen and I went on our little junket to Mineral Wells a couple of weeks ago. While sitting in one of the oldest and lost-in-time Dairy Queens around (as is the entire town), having a couple of Hungrbusters and homemade onion rings, we brainstormed for ideas to use with this set. As the game goes, whoever thinks of it first gets to use the idea and this was one of mine!! It was fun! I still have a few more ideas up my sleeve for this set that I haven't put to paper yet (ha! ), but stay tuned--one's a hoot of an idea (no owls involved)! Anyway, in case you missed it, this set, Nature Calls, was just released by My Favorite Things last week. 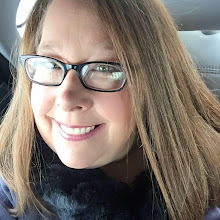 Kim's taking a short vacation, but while she's away, she's offering a special! How about a $3.00 discount on every order through August 18th, and the original MFT sets discounted 25% (the particular ones are marked down on the site)?? Now that's special! 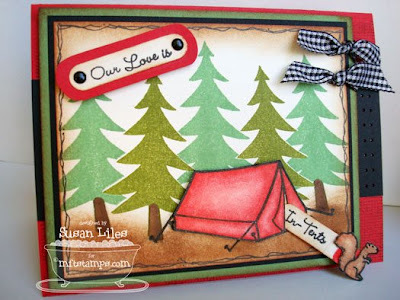 Visit www.mftstamps.com and enter coupon code VACATION at checkout to receive your discount!! 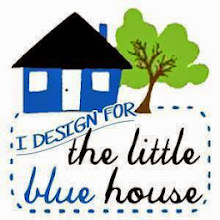 TIP: When you are trying to come up with ideas to use a particular stamp set "outside the box", just make a list by brainstorming every idea you can think of that would be associated with the theme of your stamps. Then think of ways to adapt some of these ideas to your project. Not all of them may work, but it will help you to look at your stamp set from a new angle! Great creations!! I love that polar bear one! Snowflake ribbon's lovely! Love these! ...especially the polar bear and smores bucket. Both are just such great ideas! These are fantastic! 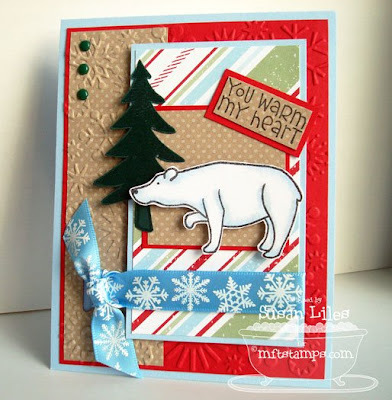 I love how you used the cuttlebug for the background on the polar bear card. And that little squirrel is super cute! Ohhhh So fun ....I love it !!!! 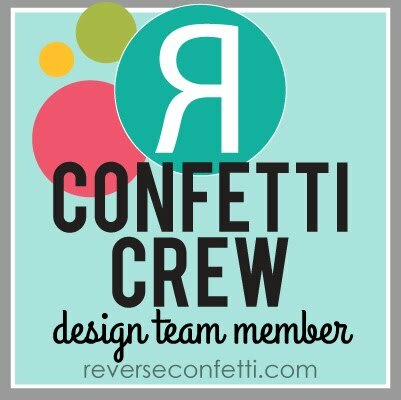 I always love your blog and your fun ideas. I had to let you know that your giant squirrel with the sentiment is so very cool... and that Wild S'mores bucket ~ THAT I will have to do!! How fun!! Oh what fun! 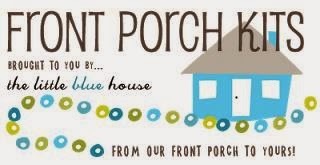 Love that blue snowflake ribbon! And what could be more yummy than smores? Makes sleeping in a tent worth it! thanks for sharing. I'm so jealous of you girls brainstorming at Dairy Queen!!! Hope you didn't get any catsup or mustard in your idea sketch book that take with you everywhere!! Great minds = great cards and fun stuff!! GOOD JOB, SUSIE! These are all super cute! 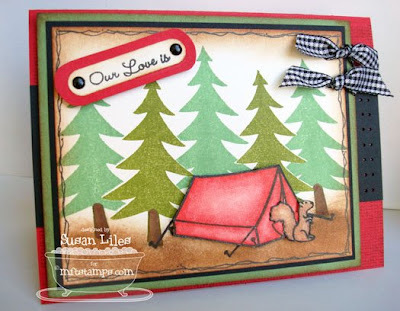 LOVE how you make the squirrel pop out with the rest of the saying!! =) CUTE set.